RECENT reports1 showing the beneficial effect of vagotomy on peptic ulcer have been the stimulus for the experimental work herein reported. 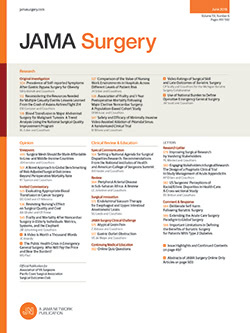 This investigation was conducted to determine: (1) the effect of preliminary vagotomy on the development of the jejunal ulcer in the dogs on which the Mann-Williamson operation was done and (2) the effect on formation of ulcer when the vagotomy was performed after the Mann-Williamson operation. Exalto2 was the first investigator to report the incidence of jejunal ulcer in the dog following gastrojejunostomy with drainage of the duodenal contents into the colon. In his conclusions, valid to this day, he attributed the jejunal ulcer to the action of acid gastric juice on the intestinal mucosa.